Whenever you use a basic action die, roll it. If it is an action face, add it to your Prep Area. 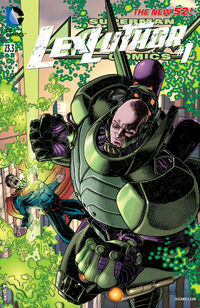 ^ Action Comics Vol 2 #23.3: Lex Luthor. DC Database Wikia. Retrieved 9 August 2015.